Nordic families, as we come to try-outs for the 2018-19 season, we want you to consider the many reasons as to "why" your child should play Nordic Soccer next season! Nordic continues to focus on player and people development...... Building global players and people of today and tomorrow! 7 current or former College Coaches. 8 current or former High School or Middle School Coaches. 4 current or former National or Regional ODP Coaches. Our coaching staff goes above and beyond and puts in a lot of personal time to ensure the best for our players so that they can maximise their soccer and personal potential. Our coaching line-up for the 2018-19 season will be announced prior to try-outs. Player Pathway - we have aligned our self with the US Soccer Player development curriculum and best practises guidelines and have a "player development pathway" for our players from U6 all the way though U18. This is a 12 year "process" that occurs as players go through the Nordic cycle. 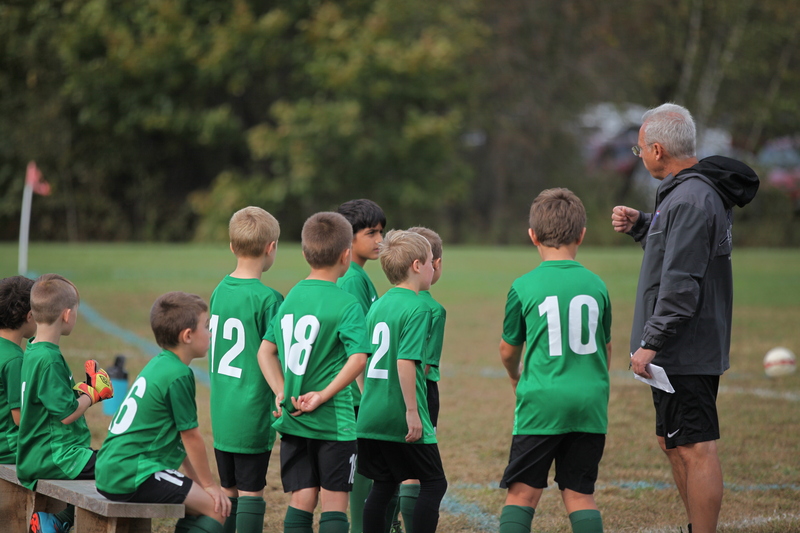 The US Soccer Curriculum provides age appropriate content and methodology guidelines for clubs that optimize player and team development at each critical age in the youth player life cycle from U6-U18. Level of play - from U8 all the way up to our High School years, we offer varying, appropriate and challenging levels of play for all our players! Our U6 and U8 programs are fun filled introductions to "the worlds game"! Our U9 to U12 years offer non tiered teams with the main focus being on skill and personal development. Once players reach the U13 years (and in alignment with the US Soccer Player development curriculum and best practises guidelines) we need to further our players exposure to the "next level of play". This year was our first year in the Northeast Soccer league where our teams at our U13 to U17 age groups played high quality games on a regular basis. Our class of 2018 is as strong as ever with 20 graduating players and 15 of those 20 players going on to play collegiate soccer this fall! As a club we are committed to this long term process and if you look at our proven track record since 1986 of developing and nurturing not only soccer players that have gone on to play at the next level (College, High School, ODP) we have also guided young people that have gone on to be successful in their adult lives with values/traits learned whilst playing for Nordic Soccer. Player development Initiatives- this year saw the first year of our PDI where selected players nominated by their coaches were invited to practise/play up an age group or level of play. Our goal is to keep players challenged and motivated to help them achieve their soccer potential. Player fees - we are freezing player fees for the 2018-19 season. We believe that our player fees are very competitive within the current youth soccer scene given all of the game, practise and off field opportunities that families are offered. U13 to U18 Premier - $1725. U13 to U18 Club - $1315. However, apart from Nordic Cup, we will no longer be including tournament entry fees as part of player fees. Recruiting - Vermont Soccer Association has recruiting rules in place to safe guard players within a club. The recruiting window opens on Thurs 7/5 at 12am. This means that Nordic (coaches/admin AND parents/players) cannot recruit (face to face, email, telephone, NOTHING!) with a player/parent from another club prior to Thurs 7/5 at 12am. The same applies to other clubs (coaches/admin, AND parents/players) recruiting our players/parents before that date! I have instructed our coaches to adhere to these rules and I ask the same of our parents/players please! There is nothing wrong with your complimenting our program to other families and we are very grateful to you for that. However, if you are approached by a coach/administrator/parent/player from another club prior to Thurs 7/5 at 12am, that person is in breach of VSA recruiting rules and I would like to hear from you! Summary - As you look to make your decisions for the 2018-19 season, we hope that you take the above into consideration and we look forward to working with your child. As our vision statement says " Nordic Soccer Club is a culture of excellence, committed to: skill development and personal growth, building community ties and creating memorable, life experiences all centered around a passion for the game of soccer!"